It was fantastic. 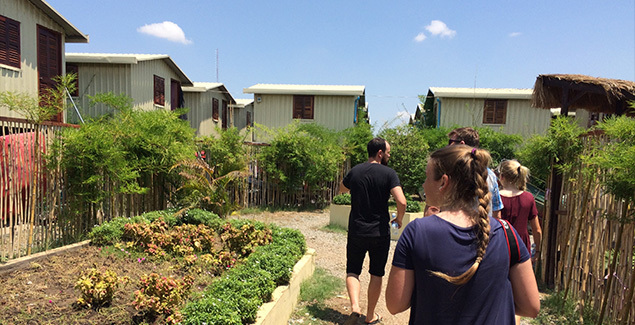 The Cambodia Children’s Fund, started by Australian Scott Neeson, is doing incredible thing in Steung Meanchey, a former garbage dump on the outskirts of Phnom Penh. Not only do they provide schooling, health care, and safety for abused girls, they are working with an organization called World Housing to rethink the possibilities of living in slums and creating gardens, real homes and communities. At Room to Read we saw girls in a small village debating, public speaking, really learning in an extraordinary way. And we met the first SHE CAN scholars from Cambodia who are preparing to come to college in the United States next year.